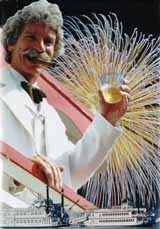 The sternwheeler Tahoe Queen presents, “Mark Twain’s Tales of Tahoe,” a daily two hour and 15 minute Emerald Bay cruise departing at 2:30 pm daily and starring McAvoy Layne as the Ghost of Twain. Our item last time on Tonopah’s Mizpah Hotel prompted this note from Realtor Trish Rippie: “I think if someone wanted to come in and do everything up first class all at once, $2 million is probably right. That is, if you wanted to tear down the old Fun Palace and pave all the parking lots, put in a first class casino and bankroll it, plus all new linens, dishware, kitchenware and some new furnishings, plus stocking the bars and restaurants, advertising, signage and on and on. If you’ve got a couple of mil to spend after buying the place for $1.5, , densely illustrated with photos. You don’t have to be a serious buyer to enjoy this detailed description of the historic hotel. 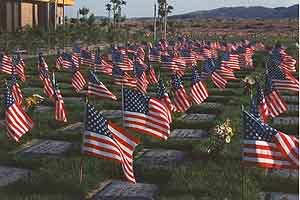 Memorial Day has always been a big deal on the Nevada calendar, and the cemeteries of the state will be decorated with flowers and flags. Departed friends and family, especially those lost to war, come back to us, however briefly. Since pioneer days, communities around the state have presented a variety of activities and events. 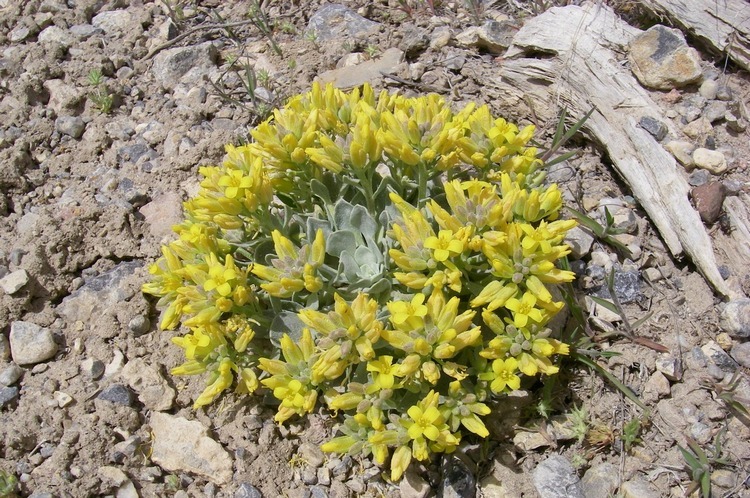 Here are some of them for 2003, hopefully in time to for you to plan a Nevada outing. . . .
At 11 am Monday May 26 a remembrance of departed comrades will be held at the Northern Nevada Veterans Memorial Cemetery at Fernley. This moving ceremony represents the true meaning of this day set aside for the treasuring of our memories. At Gold Point, about 20 miles southwest of Goldfield via US 95, Nevada 266 and 774, the Volunteer Fire Department will host their 2nd annual Chili Cook-Off Firemen’s Benefit. “Last year we raised $1500,” write Sheriff Stone and Red Dog Lil. 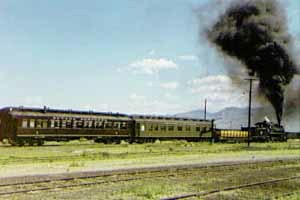 The Ghost Train of Old Ely is taking passengers again this summer. pm, and will be followed by a special diesel “Wine Train” excursion at 7 pm on Sunday evening. On Memorial Day Monday, May 26. a steam train will depart from the East Ely depot at 10 am. kids for autographs and gave a lot of high fives as they rode past during the show. The Winners has a special Runamucca rate — you have to ask for it — stay 2 nights at $35.00 per night and get the 3rd night free. It’s a great rate, and the most convenient place to stay, since many of the events and much of the fun during Run-A-Mucca will happen within a one block radius of the Winners. Weekend as it has been since the early years of the last century with a Friday Night Street Dance and a Saturday morning parade. Drilling competitions, a Soap Box Derby, Chili Cook-Off and other cheerful events through the weekend. 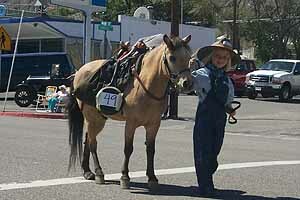 The Tonopah Historic Mining Park will be having a free weekend during Jim Butler Days on Memorial Day Weekend. Free admission on Friday through Monday. Make your room reservations here. This is one of the most user-friendly web sites I have ever used . . . making a hotel reservation is a breeze. Thanks so much. 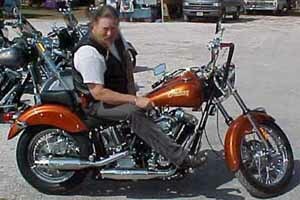 Laughlin is Fun City, especially during Laughlin River Days, the weekend after Memorial Day. May 26. So unless your feet’s too big, bring your honeysuckle rose and get there, because the joint will be jumpin’. Across the street at the Flamingo The Comedy Stop is performing two shows nightly, 3 comedians each show, with new comedians changing out each Monday. 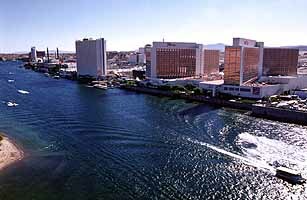 The following weekend is Laughlin River Days, a citywide boat racing spectacular with a Beach Boys concert May 31. 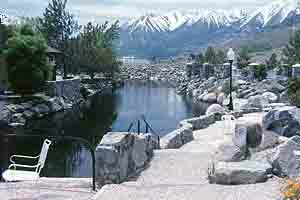 David Walley’s Resort about 1.3 miles from downtown Genoa (oldest settlement in Nevada) is all welcoming guests for a Memorial Day Weekend of peace and quiet in the bubbling hot springs pools with their beautiful views of the surrounding valley and majestic mountains. It’s delightful and serene with lots of amenities: restaurant and deli, massages in a full spa, swimming pool. They have time shares they also use as a hotel open to the public, Yep, that’s the event, peace and quiet, down time from the hustle and bustle that the world shoves down everyone’s throat ! A little slice of heaven. 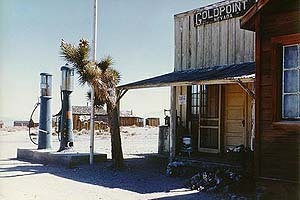 E-Mail from a website visitor: Spent the night in Beatty at the Phoenix Inn. Very nice, clean, and quiet. Dinner at the Exchange Club – food was good, service pleasant.